Well, it's all over bar the gossip. 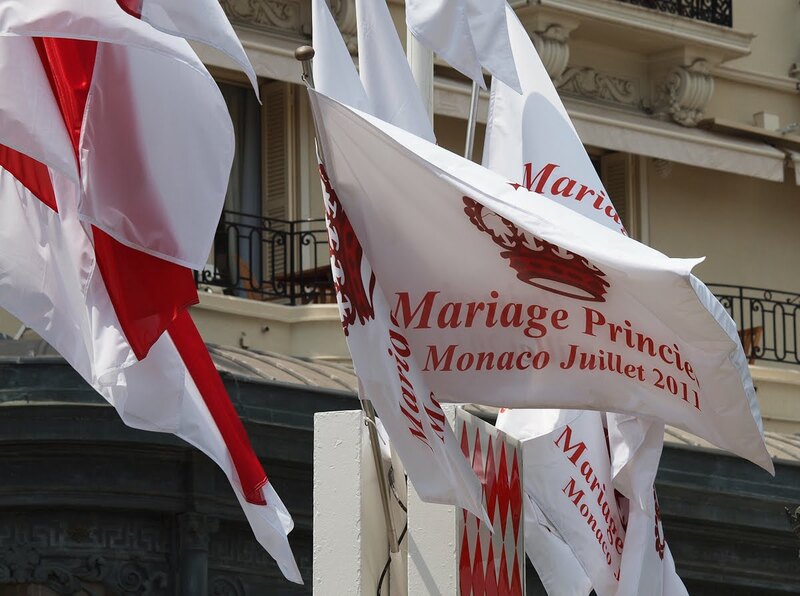 The flags still fly and Monaco is slowly getting back to normal. If you'd like to see a little of the wedding reception and part of Prince Albert's speech, please click HERE. Thanks for the wedding "coverage", Jilly! I've enjoyed the links! I think this level of 'royalty' thrives on the gossip. I was astounded to see all the couldabin-royals as they arrived. Upper-class is still a big deal in Europe, I gather. Where would they be without the gossiping-papparizi to bolster their tabloid reputations. How do you feel about the possible reversion to France? Not that Menton is affected, I gather. Or even Monaco now that the line of accession has been broadened regardless of whether Albert has a legitimate heir, or whether this poor startled deer scuttles back from whence she cometh.